In his back and forth with William J. Hamblin, Phillip Jenkins has flat out denied that there is any legitimate study of the Book of Mormon as an ancient text. Why? Because, he says, such work is never published in mainstream journals, academic (non-Mormon) presses, or presented at professional (non-Mormon) conferences. And, to boot, non-LDS scholars largely ignore it. (3) works by non-LDS authors on the Book of Mormon published or presented in LDS venues. Note that the only material included here published by an LDS press or journal will be material from non-LDS scholars. I stress that the criteria is not agreement with the LDS position on the Book of Mormon, but engagement with it. The non-Mormon scholars may not agree that the Book of Mormon is ancient, but their willingness to engage the idea—and the LDS scholarship on the topic—certainly suggest that there is or at least can be legitimate study of the Book of Mormon as ancient, and most of these non-LDS scholars were impressed by LDS scholarship on the matter. Some of these works are not directly on the antiquity of the Book of Mormon or even the Book of Mormon at all, such as the biographies of Joseph Smith by Richard Bushman, but nonetheless include engagement with (and even defenses of) ancient Book of Mormon studies. As a final caveat, I note that this is not comprehensive. This merely represents what I was able to dig up in a fairly short time (aided, I must confess, by a brainstorming session with my friend Stephen Smoot). Still this should be enough to illustrate that ancient Book of Mormon studies is something that has been, published on and engaged with by both LDS and non-LDS in mainstream academia. Barker, Margaret, “Joseph Smith and Preexilic Israelite Religion,” in The Worlds of Joseph Smith: A Bicentennial Conference at the Library of Congress, ed. John W. Welch (Provo, Utah: BYU Press, 2006), 69–82. Barker, Margaret and Kevin Christensen, "Seeking the Face of the Lord: Joseph Smith and the First Temple Tradition," in Joseph Smith Jr.: Reappraisals after Two Centuries (New York: Oxford University Press, 2009), 143-172. Bushman, Richard Lyman, Joseph Smith and the Beginnings of Mormonism (Urbana and Chicago: University of Illinois, 1984). Bushman, Richard Lyman, Joseph Smith: Rough Stone Rolling (New York: Knopf, 2005; paperback, Vintage, 2007). Charlesworth, James H., “Messianism in the Pseudepigrapha and the Book of Mormon,” in Reflections on Mormonism: Juedaeo-Christian Parallels, ed. Truman G. Madsen (Provo, Utah: BYU Religious Studies Center, 1978), 99–137. Givens, Terryl L., By the Hand of Mormon: The American Scripture that Launched a New World Religion (New York: Oxford University Press, 2002). Givens, Terryl L., “‘Common-Sense’ Meets the Book of Mormon: Source, Substance, and Prophetic Disruption,” in Revisiting Thomas O’Dea’s The Mormons: Contemporary Perspectives, ed. Cardell K. Jacobson, John P. Hoffman, and Tim B. Heaton (Salt Lake City: University of Utah Press, 2008), 79–98. Givens, Terryl L., The Book of Mormon: A Very Short Introduction (New York: Oxford University Press, 2009). Gutjahr, Paul C., The Book of Mormon: A Biography (Princeton, New Jersey: Princeton University Press, 2012). Hardy, Grant, ed., The Book of Mormon: A Reader’s Edition (Urbana, IL: University of Illinois Press, 2003). Hardy, Grant, Understanding the Book of Mormon: A Reader’s Guide (New York: Oxford University Press, 2010). Lundquist, John M., “Appendix: Biblical Seafaring and the Book of Mormon,” in Raphael Patai, The Children of Noah: Jewish Seafaring in Ancient Times (Princeton, NJ: Princeton University Press, 1998), 171–175. Nibley, Hugh, “The Mormon View of the Book of Mormon,” Concilium: An International Review of Theology 10 (December 1967): 82–83; reprinted in Concilium: Theology in the Age of Renewal 30 (1968): 170–73. Owen, Paul, “Theological Apostasy and the Role of Canonical Scripture: A Thematic Analysis of 1 Nephi 13–14,” Journal of Book of Mormon Studies 23 (2014): 81–100. Reynolds, Noel B., “The Gospel According to Mormon,” Scottish Journal of Theology 68/2 (2015): 218–234. Schaalje, G. Brice, Paul J. Fields, Matthew Roper, and Gregory L. Snow, “Extended Nearest Shrunken Centroid Classification: a New Method for Open-Set Authorship Attribution of texts of Varying Sizes,” Literary and Linguistic Computing 26/1 (2011): 71–88. Skousen, Royal, ed., The Book of Mormon: The Earliest Text (New Haven, Connecticut: Yale University Press, 2009). Sorenson, John L., “Book of Mormon,” in Encyclopedia USA: The Encyclopedia of the United States of America, Past and Present, 50 vols. (total planned), ed. Donald W. Whisenhunt (Gulf Breeze, Florida: Academic International Press, 1983–), in volume 7 (1986). Stendahl, Krister, “The Sermon on the Mount and Third Nephi,” in Reflections on Mormonism: Juedaeo-Christian Parallels, ed. Truman G. Madsen (Provo, Utah: BYU Religious Studies Center, 1978), 139–154. Tvedtnes, John A., “Hebrew Names in the Book of Mormon,” paper presented at the 13th Annual World Congress of Jewish Studies, Jerusalem, August 2001. Tvedtnes, John A., “Hebraisms in the Book of Mormon,” in Encyclopedia of Hebrew Language and Linguistics, 4 vols., ed. Geoffrey Khan (Leiden/Boston: Brill, 2013), 195–196. Tvedtnes, John A., “Names of People: Book of Mormon,” in Encyclopedia of Hebrew Language and Linguistics, 4 vols., ed. Geoffrey Khan (Leiden/Boston: Brill, 2013), 787–788. Welch, John W., “Chiasmus in the Book of Mormon,” in Chiasmus in Antiquity: Structures, Analyses, Exegesis, ed. John W. Welch (Hildesheim: Gerstenberg Verlag, 1981; reprint Provo, Utah: Research Press, 1999), 198–210. Welch, John W., “Narrating Homicide in the Hebrew Bible and the Book of Mormon,” 2014 Jewish Law Association Conference, July 15, 2014. So which of these titles is supposed to discuss the historicity of the Book of Mormon in a favorable context? I see lots of titles dealing with Book of Mormon studies but which ones deal with it's ancient historicity? I'm not seeing even one title that would meet the criteria that Professor Jenkins was looking for. All of them discuss or engage the historicity or antiquity of the Book of Mormon in some capacity. Bushman defends it in his biographies about Joseph Smith (albeit, his later bio is a soft defense). Margaret Barker (non-LDS) straight up says the Book of Mormon reflects pre-exilic Israelite religion as it most likely existed in 600 BCE. Paul Owen (also non-LDS) thinks that 1 Nephi 13-14 fits genuinely within early Christian literature from ca. 4th century AD (which is the era those chapters prophecy about). Givens has 2 chapters on it in his book, and clearly holds a favorable view of the scholarship. In the intro to his Earliest Text edition, published by Yale, Skousen argues that the original text had Hebraic constructs that have since been removed. Just look at the Encyclopedia that Tvestneses articles are appearing in and ask yourself why the editors would have an entry on an 19th century English text, or look at where Welch presented and ask why a Jewish Law Association would be in interested in a presentation on an early American frontier fiction. Or why Lundquist would have an appendix on the Book of Mormon in a volume on ancient Jewish seafaring, in a non-LDS authored book, published by Princeton. In short, try reading any one of the items on here before expressing an opinion. I see...I assumed from the title and content of this post that you were responding to Professor Jenkins with this bibliography under the terms that he set forth in his exchanges with Professor Hamblin. But, obviously not. So when Margaret Barker suggested that the Book of Mormon reflects pre-exilic Israelite religion as it most likely existed, did she then conclude that the Book of Mormon was in fact a historical document? Or did she arrive at a different conclusion regarding it's historicity? What were Paul Owen's conclusions regarding it's historicity? With your additional clarification of what defines this bibliography, I believe you're missing quite a few titles such as "No Man Knows My History" and "Abraham, By His Own Hand Upon Papyrus". Rather than ask myself why an encyclopedia would include anything from Tvestness, I prefer to ask what they WOULDN'T include. There's very little and their acceptance criteria has very little to do with scholarship. You have no idea what I have and haven't read and I'll express my opinion based on whatever criteria I feel justified to express it under. Of course, it's your blog and you can censor my opinion any time you like as I'm sure you will. As for Brodie's No Man Knows My History, it is more dated than the works I choose to include, and is not terribly high quality, nor is Larson's By His Own Hand upon Papyrus, which was not published by respected academic publisher anyway. As for Barker and Owen, you are welcome to read their works and figure out their conclusions yourself. They might surprise you. Now, why don't you go ahead and get an entry in a major Encyclopedia from a reputable publisher in biblical studies, since, you know, it is so easy? PS: Drop the manipulative "I'm sure you will [censor this]" bull crap. If you take a minute explore the comments threw out this blog, I think you will find I am pretty lassiez-faire and manipulation tactics are not necessary. But yes, it is my blog, and I would prefer that if all you want to do is opine on books and articles you haven't read, that you do so elsewhere. You made the criteria clear but you also suggested that it was a response to Jenkins of which you obviously either didn't read his definition of ABMS and what these publications should address or you didn't understand. He was very clearly speaking to the historicity of the BOM and not tenuous ties to the near east. I would go back and revisit his posts and either amend this to not be a reply to him or actually include titles that would satisfy his criteria. Otherwise this list is wholly disingenuous. I've read Barker and Owens and the answer to the question is no, they did not conclude that the BOM was a historical document. My point about the Encyclopedia is that an entry doesn't need to rise to the level of scholarship, it only needs to be informationally truthful. Tvedtness's article isn't given any scholarly credence by appearing in this encyclopedia. I wonder what the publisher's of this encyclopedia would think if they were to read your blog and it's insinuations regarding this article? I wonder if they might reconsider it's publication as a risk to their reputation seeing as how it's being interpreted? Like I said, I did not double check Jenkins statements. In any case, I do think this is relevant to assessing the merits of ABMS (again, ancient, not "Historicity Book of Mormon Studies"). Barker is not clear on what she thinks about the books historicity (unless you have a quote that clarifies that?). Some of what she says certainly seems to imply as much, though. As for Owen, his view is much more complicated than a simple no, and he accepts historicity as a real possibility. In any case, he still accepts it as ancient, and that an angel and revelation were involved in revealing it to Joseph Smith. I'll grant that Encyclopedia's are on the low end of the scholarly totem poll, of course. But say they don't rise to the level of "scholarship" seems a bit absurd. Scholars often can (and do) count encyclopedia entries on their CV, are typically asked to contribute to them based on established respect and expertise, and usually turn to them as a general guide to a discipline. Including a topic in an encyclopedia is certainly a sign of respect on the part of the editors. Tvedtnes was asked to contribute those articles by the editors. I can't state their reasons for doing so, but I seriously doubt that they failed to consider the implications it might have for their reputation before they did. If two small articles can make a serious dent in the reputation of a large, multi-volume encyclopedia, published by the most prestigious publisher in all of biblical studies, then that would really speak more to the intense bigotry of the academic world than the merit of Tvedtnes's articles, or how I am using them here. As I said, neither of them can even draw a conclusion regarding the historicity of the Book of Mormon which is why their presence on a list in response to Jenkins is...well...questionable. Drawing tenuous parallels between Joseph Smith's doctrines many of which don't even appear in the book of mormon and near east traditions is hardly an argument towards it's historicity. Granted however, I can see why you would include them on a list discussing possible connections to the ancient near east. With this in mind, I would advise you to amend this post as it is NOT a response to Jenkins but is something different entirely. 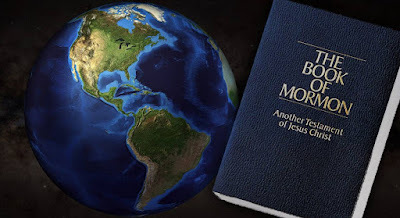 There is nothing absurd in saying that Tvedtnes's article for this Encyclopedia is for informational purposes only and lends no credence to the historicity or veracity of the Book of Mormon. While Tvedtnes might want to include it on his resume, it holds no sway in academic circles as a scholarly work. They apparently just want to present as much information as possible regarding various topics and they didn't mind publishing an LDS perspective. But once again, while there are Hebraisms in the BOM, there are also just as many Hebraisms in "The Late War" which is also 19th century bible fan fiction.